The Rock Out 2 Rechargeable Speaker from Goal Zero is perfect accessory for those wanting to rock out while out and about whether it be in the mountains or camping with friends and family. 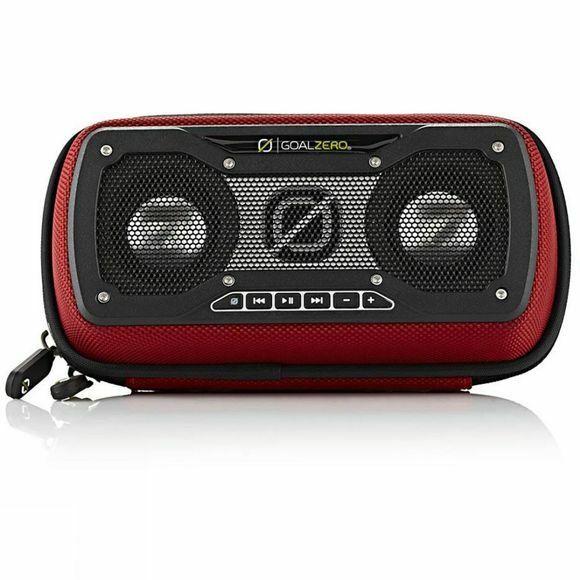 With its rechargeable battery, you can listen to your tunes for over 20 hours from your phone, MP3 player or laptop. When not in use, it zips away in it's own storage compartment for safe storage. It's DarkBass technology ensures you receive high-quality sound with everything on your playlist.